Not long ago this word epitomized why Maine didn’t produce wine made from grapes grown in the state. The climate was believed too harsh and the growing season too short for grapes to thrive. Today, “terroir” is a word Maine winemakers can speak proudly. Through trial and error and loads of research, winemakers have discovered grapes suitable for Maine. Many of the grape varietals grown in the state are hybrids, carefully selected for their ability to thrive in harsh climates. Certain varieties can withstand temperatures down to 40 below zero. From Chardonnays to Merlots, the state’s winemakers are tirelessly honing their craft to produce unique and exceptional wines. And the industry is growing, with over 20 wineries in the state and counting. 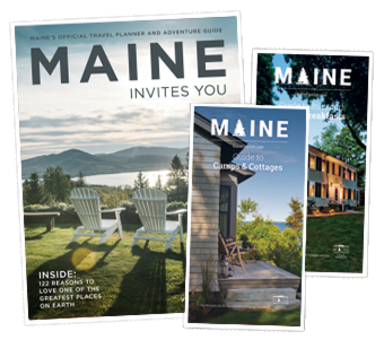 So hit the Maine Wine Trail and stop by any number of the state’s wineries for samples, food pairing events, tours, and bottles for purchase. Check out the Maine Winery Guild’s website mainewineryguild.com for a complete list of wineries in Maine. Salute!